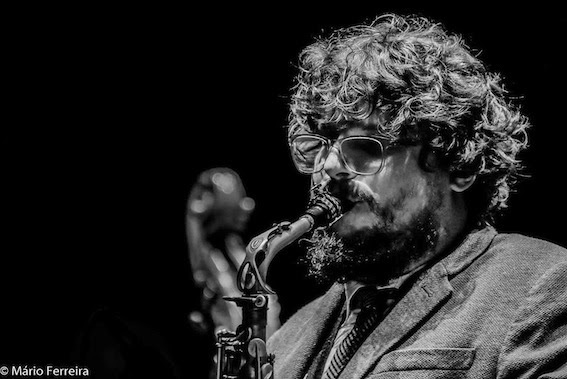 CONCERTOS PORTA-JAZZ: Sábado, 1 abril - João Mortágua "Dentro da Janela"
O aulos duplica e a panela efervesce. Os hinos respiram mudança evolutiva. Não há vento que mais bruma nem janela como ela! E eis que o ar, hipnose do hino, jubila na sertã da libertação estelar. Dentro da janela habita um microcosmos. Que alumia a viagem intra estelar. 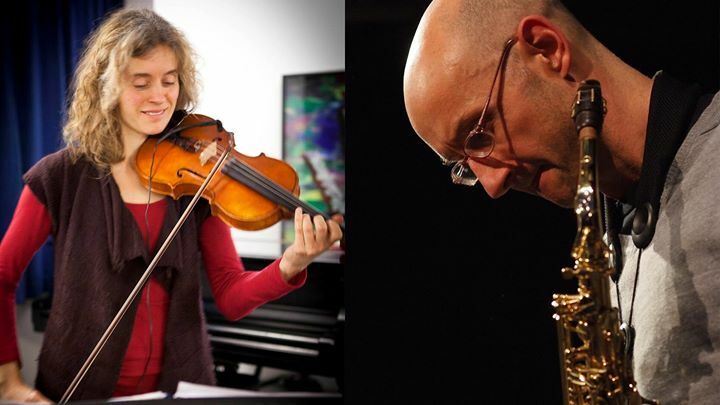 Coming from different musical backgrounds the Martin Speake and Faith Brackenbury duo bring a mix of folk, jazz, classical, indian, rock and much more to create a soundworld of at times beauty and others more raw and driving energy. 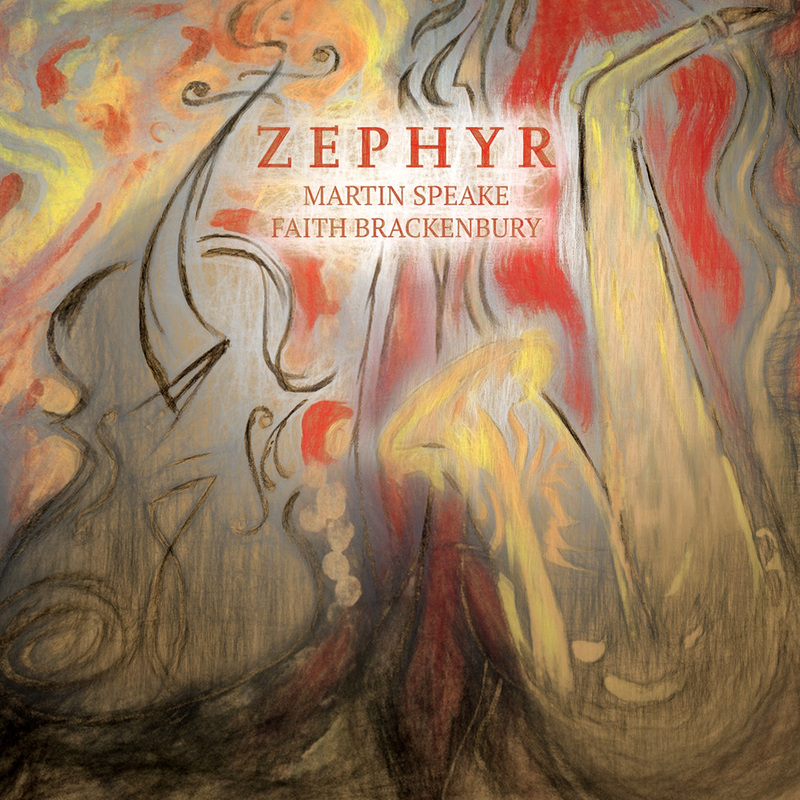 An unusual instrumental pairing of Speake's alto sax and violin/viola, played by Faith Brackenbury, this album is bursting with freely improvised lines weaving in and out of melody, harmony, discord and with influences of many varied genres of music. The strings often rhythmically supporting the alto's lyrical lines with double stopping or, as on the title track Zephyr, both instruments playing intimately, haltingly, softly drawing the listener in. The album is framed by two structured pieces, the first O Pastor Animarum by Hildegaard von Bingen, 11th century composer, naturalist, writer and mystic that the duo then make their own. Then to finish Faith plays viola and sings on an improvised version of the traditional folk song Down By the Salley Gardens. These particular tracks make this duo far more than a free improv recording. Zephyr is an album that will give the listener a flowing experience of these two musicians' spontaneous creativity and a taste of complexity and simplicity in one. 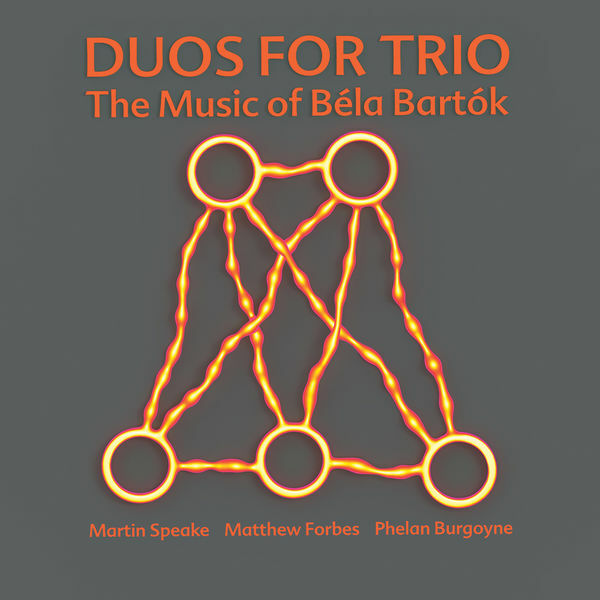 Alto saxophonist Martin Speake, cellist Matthew Forbes and percussionist Phelan Burgoyne are releasing their first album entitled 'Duos for Trio', which uses eleven compositions by Hungarian composer Bela Bartok (1881-1945) as templates for new improvised compositions. The original pieces were written between 1930 and 1931 and are among the 44 duets for two violins - short sketch-like pieces (none of which last longer than a couple of minutes each) - that often use folk themes from around Eastern Europe, which the composer himself collected. The trio have chosen eleven of these, and have used them as the root material for new improvisations, while retaining the essence of Bartok's creative imagination.